You came across an amazing deal on a prime real estate investment and you’re very excited to get started making renovations. Before you can even begin the major overhaul you have planned, you’ll need to bring in one or more contractors to help you with renovations and repairs. Is this your first rehab property? Or are you a rehab pro? No matter how you answer, just know that finding the best contractors to help with your project is an absolute must if you’re going to maximize your investment. And since you obviously want to make the most money while getting the best service, you’ll need to know how to find the ideal contractor to meet your needs. As you’ve undoubtedly figured out, we believe that every great contractor possesses three invaluable qualities that you shouldn’t live without. So, if you plan to hire a contractor in the near future, you should definitely vet them and make sure they possess each and every one of the characteristics/qualities that we share below. Otherwise you might find yourself in an unhealthy relationship with a contractor that you no longer like or trust and that could seriously put a damper on your successful rehab and subsequent flip. 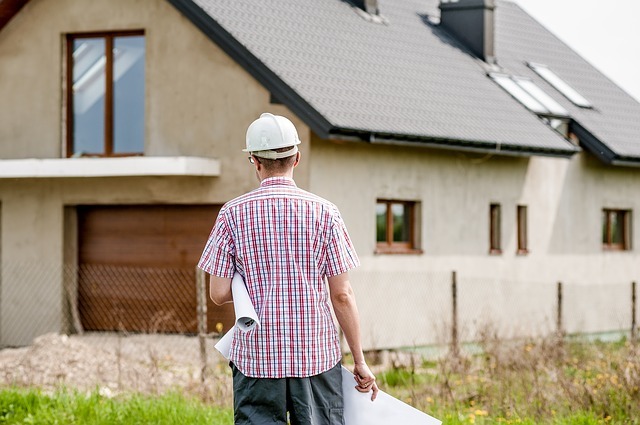 What Should You Look for When Hiring a Contractor? Finding a fair and honest contractor isn’t going to be as bad as trying to find a needle in a haystack. There are plenty of great and trustworthy contractors in your community. But you might not know what to look for to determine if your contractor is both fair and honest. So, instead of trying to navigate these rough waters without a compass so to speak, we’d like to share some ways to determine the fairness and honesty of contractors that you may decide to employ. In one example, looking to past customers will help you determine if a contractor you’re considering hiring possesses these qualities. You can go about this one of two ways. Or even use both ways to be extra careful. For starters, you can visit online review sites and the Better Business Bureau website to see if any previous customers have left reviews. If the reviews are mostly positive and previous customers seem to be happy with the service they received, then you could ultimately determine that this contractor is honest and fair in his dealings. You can use the BBB website to make this determination even further by checking their rating. If the business has an A + rating on the BBB then you know you’re dealing with a company with a solid reputation because they’ve already been vetted by this trusted and well respected organization. Or, you can ask the contractor to provide customer references. Ask for the name and phone number of previous customers and give them a call. When it’s time to hire a contractor, you don’t want to choose the first one to come along unless they happen to have tons of experience in the area where you need help. And even then, you should still look at other options in case there’s an even better company to hire to get the job done. As an example, let’s say you have to replace the roof on one of the properties you are currently rehabbing. Now there’s one of two ways you can handle this task, but one is definitely going to be smarter than the other. In the first case, you can ask your general contractor to handle your roof replacement needs. But, the GC may not be a roofing expert in the slightest and you’re only putting yourself in an awkward position. Why? Well, the GC is going to hire a roofing contractor to put on your new roof. But instead of paying the roofing contractor directly, you’ll have to pay the general contractor and he is obviously going to tack on an additional fee for the roofing services because that’s how he makes his money. In the second case, you’ll go directly to the source and hire the roofing contractor yourself. This is the intelligent way to do business because you’ll save money, you’ll be able to vet the roofer yourself, and you’ll get the best value for your dollars by eliminating the middle man. Now, it’s up to you whether you’d like to do things the wrong way or the smart way. If you’re in this business for the long haul and intend to make the most money on rehabs and flips, you’ll have to get comfortable hiring specialized contractors directly as opposed to hiring a single general contractor to meet all of your needs. Lastly, you’ll be in a much stronger position hiring a contractor who is also a property investor. Why? Simply put, as an investor he will understand exactly what you’re going through. He’ll know that you only have limited resources and you’re looking to turn a profit, so he’s going to treat your money as if it’s his own because he knows the struggle. Hiring a regular roofer that doesn’t invest in properties isn’t the worst thing in the world. But at the same time, this roofer doesn’t understand your point of view and might not really know or care about your investment and whether or not you turn a healthy profit. As you can see, it’s in your best interest to hire a contractor that possesses all three of the qualities mentioned above. Without all three, you could end up with a good contractor but he might not fully understand or care about your specific wants and needs which might not make him the best fit. Find contractors with all three of these qualities and you’ll have the best possible experience while putting the most money in your pocket at the same time.